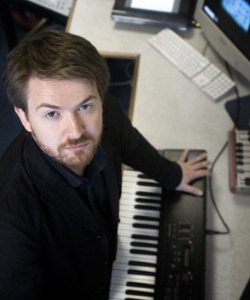 Dr. Mick Grierson is an experimental artist specialising in real-time interactive audiovisual research, with specific focus on cognition and perception. He works in film, music, and software development, both inside and outside industry, designing, developing and producing new approaches to creating audiovisual experience. He is currently Director of the Goldsmiths College Creative Computing Programme, and founder member of the Goldsmiths Digital Studios Embodied Audiovisual Interaction Group (EAVI). Mick Grierson is Director of the Daphne Oram Collection.